The idea of accessing data stored on servers around the world is not exactly new, but the way we are using this technology has become much more creative than we ever could have imagined in the past. After all, we don’t just use cloud technology to access information, we also use it to share, collaborate and communicate with others. The use of the cloud has become so prevalent that most people don’t even realize they are using it in order to perform daily tasks. Don’t believe me? Well, let’s take a look at a few different ways that cloud computing has changed our lives for the better. Cloud technology has actually made it much easier to create various types of content. As a matter of fact, this is one of the more popular uses of the technology, and some of the most popular websites in the world use the cloud for these purposes. For instance, Youtube uses cloud computing to store videos from their users. If you have a Gmail account, you are accessing cloud servers whenever you read your email. Even if you don’t think you’re benefitting from cloud storage, chances are that the services you use are taking advantage of the technology. When it comes to collaboration, services such as Google Docs make it easier than ever to collaborate with people from all over the world at any time. Because the program for this software is stored on a cloud server, it can be accessed and used just about anywhere in the world. This type of service is known as SAAS (Software as a Service) and it has proven to be very useful for average users and businesses alike. Although many Americans don’t think they are using the cloud, one study revealed that 95% of those who said they were not using cloud technology were in fact using some form of cloud services. Chances are that even if you’re unaware of it, you’re probably using cloud technology in some way, shape or form today. Whether it be freelance work or new opportunities to work from home, cloud computing is making it easier than ever to work from a remote location without having to travel. Services such as oDesk provide a place for employers to meet, communicate, and provide or complete various tasks. Some call centers are now outsourcing their work to employees who will receive calls from home, and they keep track of this work by using software that is connected to the cloud. No matter where you look, both businesses and employees are now saving money and time by using cloud technology to complete work. While most of the cloud technology uses we have detailed above are in some way made possible simply by making it easier to share information, it is worth noting that the way we share information is quite interesting. It’s not as if we just upload a file to a cloud server and share it with others, we’re also making it easier to share files across a variety of different devices as well. In other words, when you use cloud storage to save and share information, you are making it accessible to any device that can access the cloud. Whether you want to use your phone, tablet, video game console, computer, or another device to access your information, cloud computing can make it possible. An excellent example of this can be found in the Ultraviolet digital rights system, which uses the cloud to provide users with access to films and other forms of entertainment across various different platforms. Purchasing a movie is now easier than ever, and allows you more connectivity options than ever before. 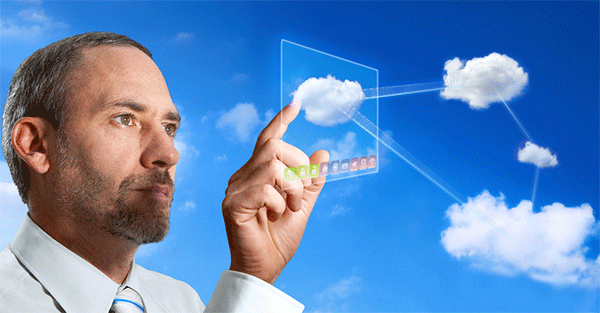 Cloud computing is all around us and there seems to be no way of escaping it anymore. While many foresaw a day and age when we would be accessing cloud servers to store and access information, it would have been pretty difficult to foretell exactly how we would use this technology. It seems like a pretty simple and basic premise, but innovative minds have taken the concept of cloud technology and made it even more useful than we ever could have imagined.